For our final challenge of 2015 (where has the time gone, right!) anything goes. I used a snow angel from Scrapper’s Delight called appropriately Little Snow Angels. This set includes 6 adorable images and a “snow” sentiment. They are all pre-colored. I layered the angels on a Christmas themed embossing folder. Sentiment is from JustRite. 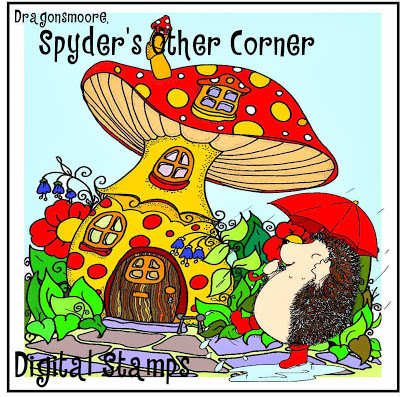 Please check out the wonderful digis stamps at Scrapper’s Delight. Without the support of our sponsors, we would not be able to provide our wonderful prizes. This week, our challenge is “NEW”. I used a new stamp, new papers, and a Merry Christmas and Happy New Year’s stamp. The stamp is called “Curious Gifts” by Sami Stamps. I coloured the stamped kittens with Copics, and paper pieced the presents. The sentiment stamp is by JustRite. I hope you will join us. And make sure to check out and support our sponsors who provide our wonderful prizes! C.R.A.F.T. Challenge 342 – 17th of December – Thank You! Please join us. And please support our sponsor’s who provide our weekly prizes. People who know me, know I don’t like having my picture taken, nor do I do people pictures. All my friends challenged me to make a “Photo Card” I was like….ah! man! But I was up to the challenge, but decided to tackle it in a different way. Last winter I was out on a cold, windy, basically white day but was struck at how beautiful the landscape was. I took one such photo, printed it, added some bunnies and here is my “Photo Card” creation! My own photograph taken at the Pinery Provincial Park, near London, Ontario. Our last challenge of 2015 runs 3 weeks. Please join us! And may I wish Everyone a Merry Christmas and the Best in 2016. Keep Warm! This week’s challenge was to make another Christmas card. I have a number of fabulous Christmas digi stamps from Bugaboo Stamps. I decided on a retired* stamp called Window Santa. I hand coloured him with Copics and decorated the window ledge with punched flowers (Nellie Snellen) and leaves (Martha Stewart and Stampin Up). 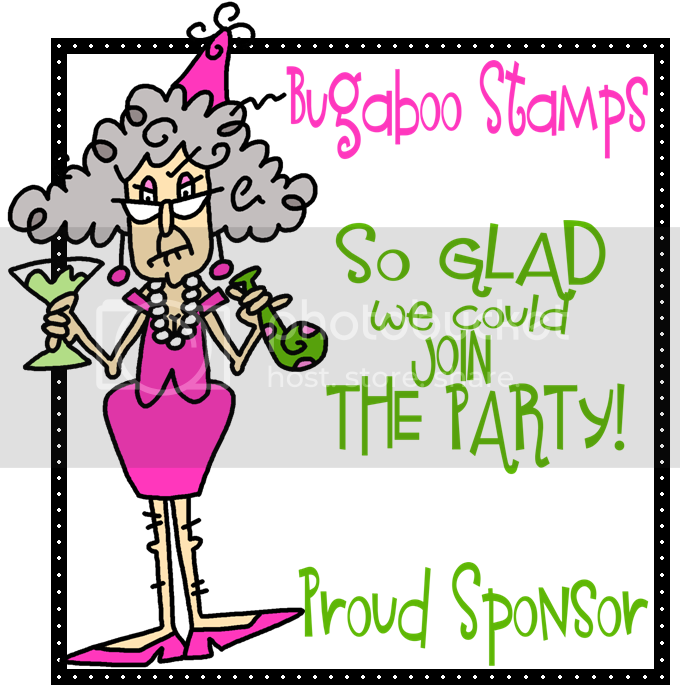 *Each month Bugaboo added numerous new digi stamps, and each year they retire some. 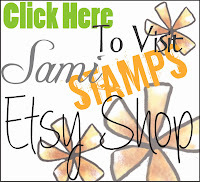 Check them out at http://www.bugaboostamps.com/ and also look for their weekly “freebie”. When creating the card, I accidentally lengthened the jpeg, liked the result and made it as well.